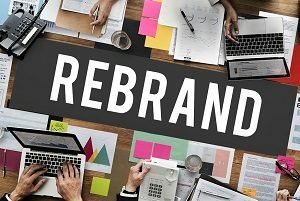 When and Why Should You Rebrand Your Company? There are many reasons to rebrand your company – and there many reasons why you should not. In this digital age, it is both very easy and very hard to rebrand completely, and for the same reason: while everything can be changed, the internet remembers. In this article, we’re going to look at the three most common reasons companies think about rebranding and following that up with the pitfalls these same companies can suffer if their rebranding is done badly or incompletely. Sometimes as your company grows, you outgrow your name, scope, and brand. You might go from specialized to general, such as Apple Computers becoming Apple, Inc. Or you might want to go from a longer name to a more marketable one, like Starbucks Coffee dropping the “Tea and Spice” from their name. If you’ve got a successful location and are thinking of expanding, you don’t always have to drop the name and branding. You can take a page out of multinationals like Alphabet or General Mills and establish a holding or parent company. On a more specialized scales, restaurants can often expand by putting their locations under a hospitality group, something we have experience in founding and marketing. Sometimes the choice of chasing trends with branding can lead to names and logos that can become dated in the following years or decades. Does your embossed logo look out of place in a sea of flat design? Much like the “Business.com” companies had to rebrand in the early 2000s, the “TwoWords” together branding popular at the beginning of the 2010s is also starting to wane. When a company is faced with an issue of their name losing their audience because it is dated, a radical departure can quickly lead to confusion. Look online and internally for what people call your business and think about shortening down to that (an example here would be the recent change from Dunkin’ Donuts to just Dunkin’). Similarly, look at slight changes to your logo, either preserving design or the color pallet while going for a more modern look. Finally, rebranding is sometimes used as a way to try and ditch bad reputations or after a scandal. Once a name becomes synonymous with a bad reputation and typing it into a search engine turns up nothing but bad news, is it time to try rebranding as a smokescreen? For some, it has worked to various degrees of success, from Time Warner Cable becoming Spectrum or WorldCom becoming MCI after bankruptcy proceedings. Can You Distance Yourself Online? The counterpoint to this is that in the age of the internet, the world has a longer memory. From Wikipedia articles to online publications, it’s harder to ditch a bad reputation with just a name change. Before you think about taking this drastic step, it’s important to look at your other options of reputation management to replace or complement the rebranding. After looking at the top three reasons to rebrand, it’s important to look at the opposite site: what do you lose in a rebrand? While this varies depending on your approach and execution, these are things to keep in mind when rebranding. Losing Your Clients: Just as true now as it was 50 years ago, rebranding with a new name, logo, color scheme, etc. are going to throw some of your current customers. For better or worse, if you make people invest in your brand, they are going to associate a change in that brand with an abandonment of them. Losing Your SEO: If your company’s name or services have gained keyword status in your industry, changing your branding can easily wash away your online presence, especially if you make a URL change as part of the rebranding without proper redirections and PR. Losing Your Listings: Either actively or through the work of customers and businesses, you’re going to establish online listings on everything from Google Business to Yelp to the BBB. More than just responding to reviews and questions about the change, failure to claim and transition these listing can lead to confusion, especially with physical locations. If you’re thinking about rebranding for any of the above reasons, it’s important to create a marketing plan around the process and have all the systems in place for a smooth transition instead of a branding nightmare. At Vision Advertising, we can help. We’re a full-service marketing agency, specializing in comprehensive internet marketing – from websites to social media and everything in-between, to help you not only succeed but thrive. Contact us today to start the discussion and find out how to best tackle your brand issues of both brand management and brand development.